Poet, author of song lyrics, stage plays and short prose works, actor, singer, director, and author of “text-appeals”. Founder of the famous Semafor theatre. Winner of many music, theatre and literary awards including the Jaroslav Seifert Award (2005). He was born in Pilsen on 1 October 1931. Spivs, hotshots, wide boys and loose women of all kinds, as well as hoodwinked old farts figure in the new Semafor review Little Ladies and Robbers, in which Jiří Suchý happily surrendered to the spell of the fringes of Prague society in the twenties and especially its reflection in the city’s song folklore. Jiří Suchý first worked as a commercial artist, performed in a band with Vlasta and Viktor Sodoma, met Miroslav Horníček at the Reduta and later also Jiří Šlitr. Together they formed an acting and composing duo and along with Ivan Vyskočil founded Divadlo Na Zábradlí (Theatre on the Balustrade, 1958), for which Suchý wrote the play Kdyby tisíc klarinetů (If a Thousand Clarinets). A year later they left the Zábradlí and founded Divadlo Semafor together with Ferdinand Havlík. Suchý wrote dozens of plays and hundreds of songs for this theatre, most of which were published in book form as poems. Suchý was inspired by Jan Werich and Jiří Voskovec, but the Semafor did not copy their political satire in the sixties; instead, it went down the road of musical comedy, albeit with a number of anti-regime allusions. Suchý’s poetics are based on playful dadaism, a lightly surreal world of dreams, and an inventive use of language, in which he mixes colloquial and folk expressions, managing to conjure up original and humorous verse. Fun – that was mainly what people went to the Semafor for. 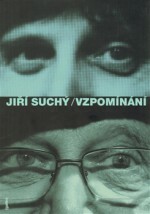 Suchý acknowledges inspiration from Vítězslav Nezval, and in his programmes he used poems by Christian Morgenstern, brilliantly parodied Karel Jaromír Erben, and created satire in the style of James Bond and the anti-war musical Kdyby tisíc klarinetů. The first book he had published was the collection Klokočí (Bladdernuts, Československý spisovatel, 1964), but by then he had already written two plays with Ivan Vyskočil. There then followed Motýl (Butterfly, Čs. spisovatel, 1965) and Sto povídek (A Hundred Tales, Čs. spisovatel, 1966). By the time of Jiří Šlitr’s death in 1969, he had prepared and published another five collections composed mainly of their work, including the book Med ve vlasech (Honey in Your Hair, Západočeské nakladatelství, 1970), which he illustrated himself. There followed a ten-year hiatus; at first Suchý did not want to continue at the theatre without Šlitr, but in the end he found Jitka Molavcová, who formed a writing duo with him from that time on. In 1985 Suchý published Orchestrion z ráje (Orchestrion from Paradise, Český fonoklub – Jonáš, 1982) and then Knížka, aneb co mě jen tak napadlo (A Little Book, or Whatever Came to Mind, Panton, 1986), and a year later the collection of poems Kolik očí má den (How Many Eyes Does the Day Have, Melantrich, 1987). This was followed by Trocha poezie (A Little Poetry, Čs. spisovatel, 1989), named after a poem from Suchý’s Písně o rose (A Song About the Dew), where he sings: A little poetry never hurt anyone. After the Velvet Revolution came a flood of books by Suchý, with his poems and most famous lyrics spilling over from one to the next. 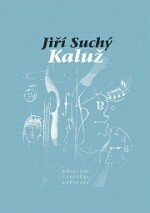 During that period the publishing of Suchý’s work for children also began with the book Dítě školou povinné (A Child of School Age, Albatros, 1991). In total Suchý is the author of around fifty collections, books of memoirs, chronicles of Semafor and books of interviews about his work. From light dadaist or playful verses, he matured into a darker form of wise poetry which makes the reader smile nostalgically. 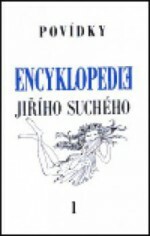 Suchý’s work has been published collectively in twenty volumes as Encyklopedie Jiřího Suchého (An Encyclopaedia of Jiří Suchý).